Margaret Atwood's Brave New World Of Online Publishing Charles Dickens wrote many of his greatest works in serial form, but serial publishing has fallen by the wayside since his day. 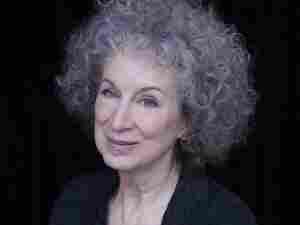 Now, it's being revived online, and Margaret Atwood is publishing a future-dystopia novel called Positron in installments via the literary website Byliner. If you're a Margaret Atwood fan — and you've got some spare change under the couch cushions — just a few dollars will get you a stand-alone episode of the new novel she's writing in serial form. It's called Positron, and Atwood is publishing it on Byliner, a website launched last year that's one of many new sites billing themselves as platforms for writers. So what inspired the best-selling, Booker Prize-winning author of The Blind Assassin and The Handmaid's Tale to try out this newfangled approach? "Once upon a time, novelists of the 19th century, such as Charles Dickens, published in serial form," Atwood tells NPR's Audie Cornish. "They would put out maybe three chapters or so, and then they would respond to readers' reactions. And then, that moved on and serial publication got taken over by magazines and newspapers, and that was where it was in my youth. But that died out as the 20th century neared its close, so a whole way of publishing, a whole platform vanished." Libraries And E-Lending: The 'Wild West' Of Digital Licensing? Now, Atwood says, the advent of the Internet means that platform has reappeared, and she's in the middle of writing Positron — the third episode went on sale last week at Byliner. Positron imagines a near future where society has solved a major problem of modern life — the absence of jobs — by making everyone a part-time criminal. "They can live in prison and they take turns," she says. "One month they're the prisoners, and the other month they're the people in the town taking care of the prisoners. So that provides full employment for everybody all the time." Lest you fear that Atwood has abandoned regular old print novels, don't worry. This fall, she's publishing a traditional novel as well — a very different experience from writing an online serial. Atwood compares online serial writing to improv comedy, to creating a story live in front of a waiting audience. "Whereas, with a comedy play, with a script, it's already finished, you learn the part, you get up, you perform it — well or badly — but it is not something you're making up in front of everybody," she says. Serial writers — like Dickens — got plenty of feedback from their readers about what should happen in their stories. "The closest analogy is probably TV sitcoms: If somebody's getting high ratings, you make their part bigger, and if they're not you have them die of an unfortunate disease." Once Dickens was done with his serials, he republished them in book form, which is exactly what Atwood plans to do with Positron — so you may yet see the title at your favorite bookstore.